5 benefits of having a porch installed in your home! Outdoor living is not only happy living but can provide a wholly versatile home improvement. Whether you choose to have a canopy fitted perhaps on the side of your home to act as a carport or have one fitted to use as a contemporary patio enclosure, both are ideal and beautiful! A porch on the other hand can provide a stunning entranceway to your home. 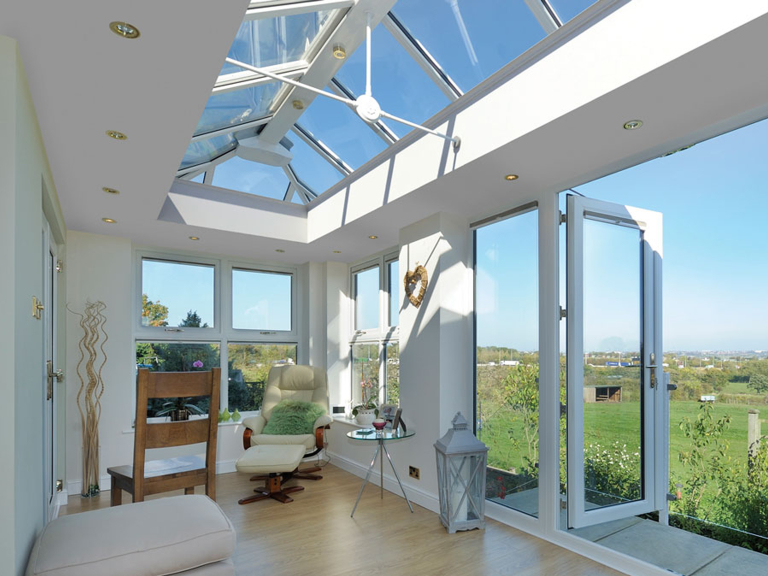 High performance and low maintenance uPVC and glazing – Both a canopy and a porch provide extra natural light into the home and will only ever need washing down. Creates extra shaded space outside your home – A canopy is often used as a carport or can be used to provide shade over a patio area in your garden. 10 year insurance backed guarantee from Taunton Windows – This means if you ever come across a problem with either your canopy or porch, you will be entitled to a fix. Fully customisable – This means you can have exactly what you want! The design is up to you and Taunton Windows will be able to fit it for you. Reinforced aluminium poles for strong structure – The canopy or porch will be strong for you! If you are thinking of adding a canopy or porch to your home, be sure to contact Taunton Windows for their expert advice!